I was chatting recently with a build-captain friend about a refit project he is heading up. 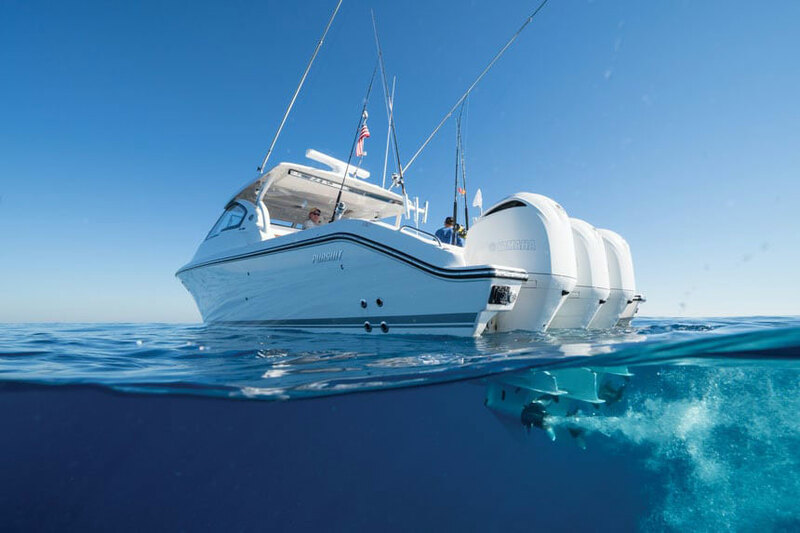 He noted that the owner has been requesting a number of changes to the plans, as he wants to build the best and most up-to-date yacht possible. 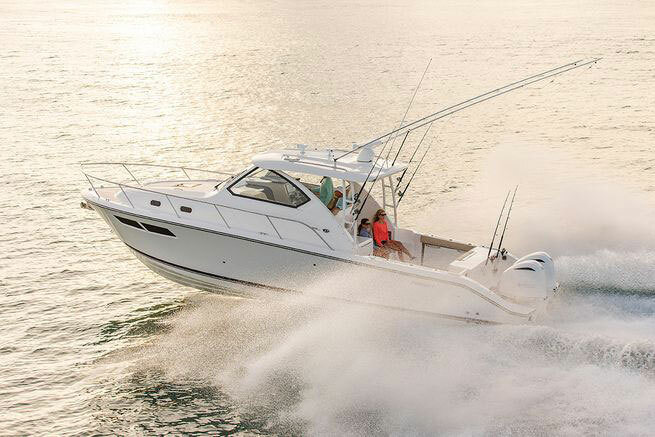 My friend, in summation of our conversation, stated that he is in the “yes business;” yes, he will realize the owner’s wishes the best he can and, yes, he will deliver the owner’s dream yacht. 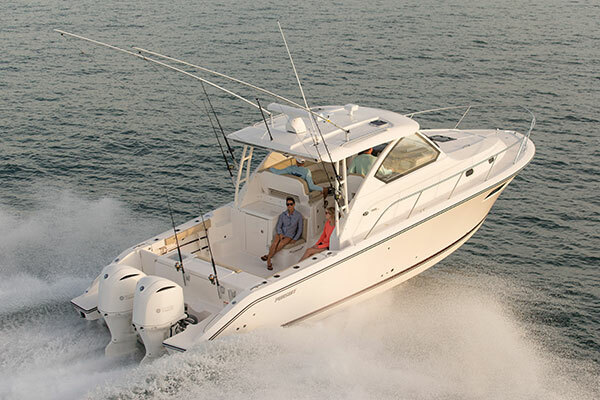 Load up a Pursuit S 368 SPORT with family and friends, point the bow for the Bahamas, and see what happens next. 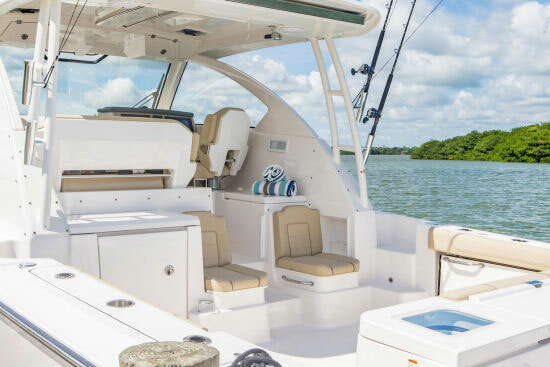 Many big center console boats are simply supersize versions of existing layouts. Not so with Pursuit’s new S 408 Sport. The company’s design team took a clean-slate approach. The result is an interior that you might mistake for a cruiser. 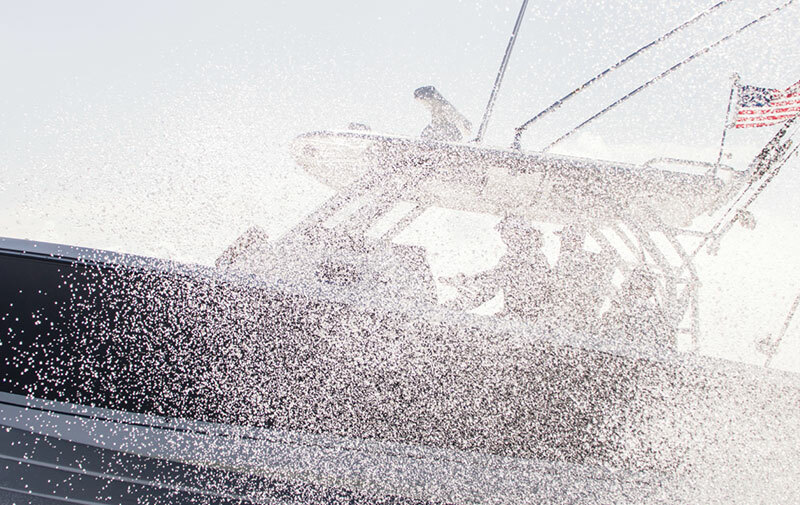 When the team at Pursuit Boats proudly introduced the S 408, CEO and President Tom Slikkers used a combination of words that would seem odd in the same breath in most circumstances: “badness, meanness, softness.” But those of us who talk about beefy center consoles and what they have to offer know exactly what he’s talking about. 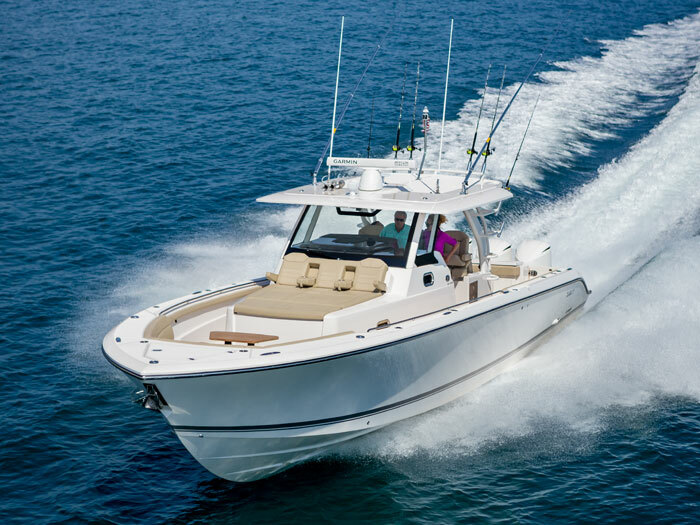 These offshore fishing boats are mean: They’re animals on the high seas, pouncing on rough conditions and eating up the chop, with running surfaces designed to meet nearly anything you throw at them and powered by ever-higher-climbing outboard packages, both in numbers of motors and horsepower. 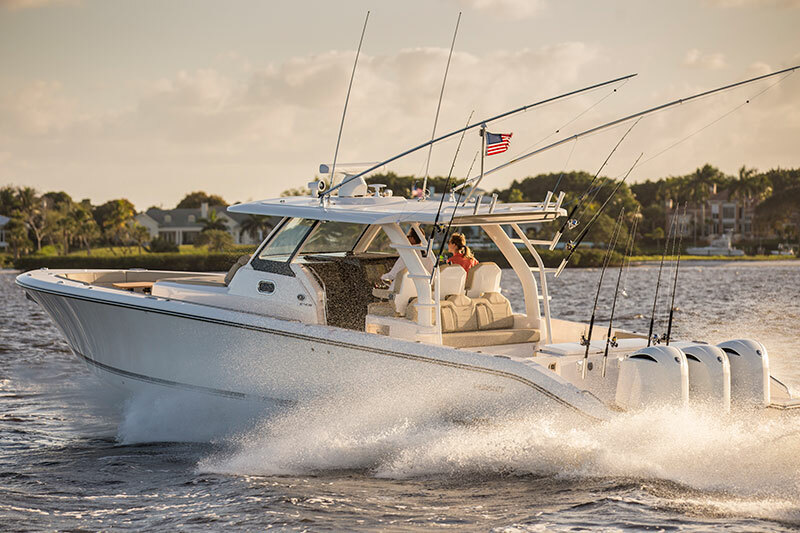 Pursuit’s all-new OS 355 Offshore is an open-water capable, twin outboard hardtop with impeccable style, well-planned fishing capabilities, day boat seating for eight to ten persons, and overnighting facilities for four persons. 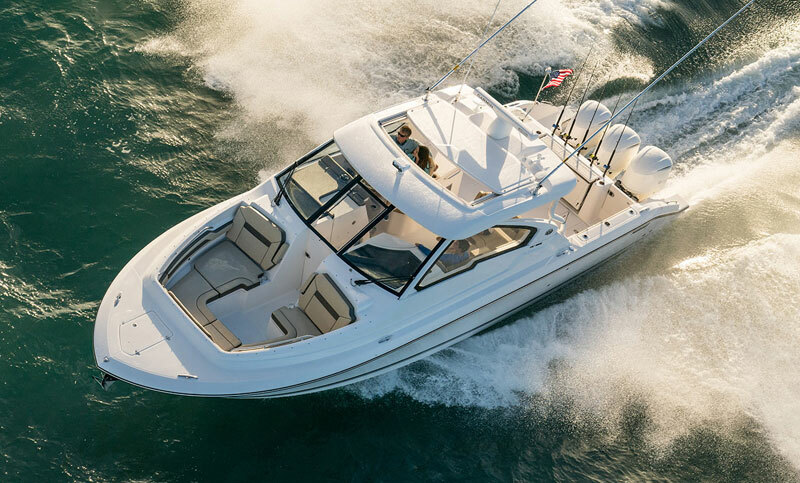 Her 20-degree deadrise at the transom and extended hull sections under the swim platforms flanking the outboards help ensure a comfortable ride at cruising speeds. 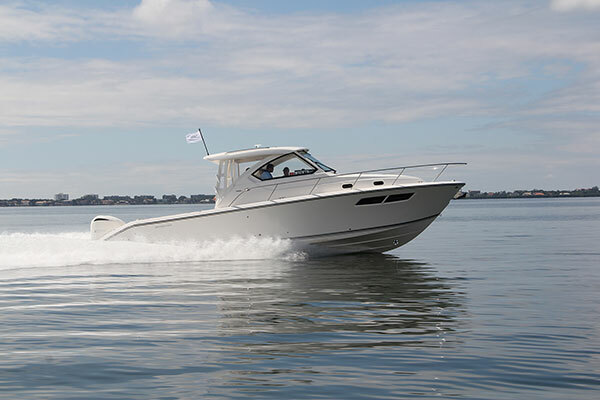 Never a company to rest on its laurels, Pursuit Boats sets a new standard with the recent introduction of the OS 355 express. Rather than spruce up the preceding OS 345, the design team built this one from the keel up, adding numerous significant — and stylish — improvements in the process. And the 355 is no slouch in the performance department either. 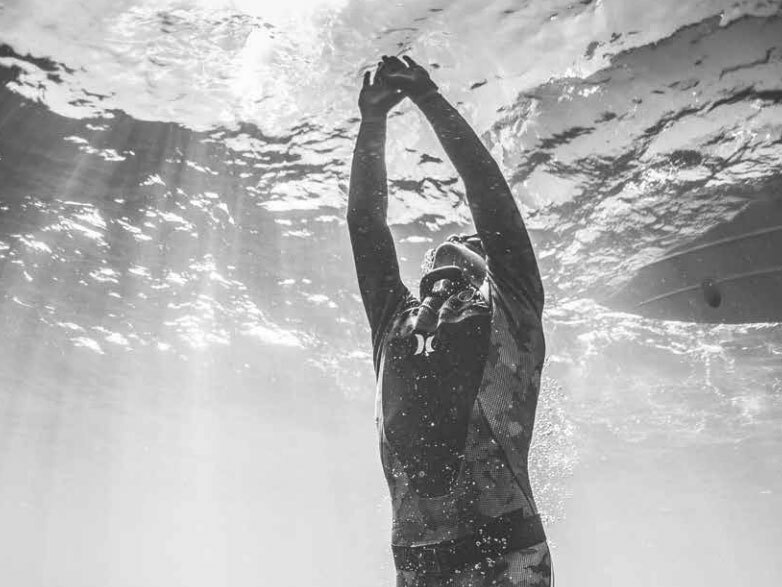 The 2016 Pursuit OS355 represents a keel-up redesign based on the 345 model introduced in 2008. “We had one goal, which was to maintain tradition but bring new, clean styling and exterior lines,” said Chris Gratz, Pursuit Director of Engineering. The team brought to the OS355 some 80 new design features, which are on display literally from stem to stern. 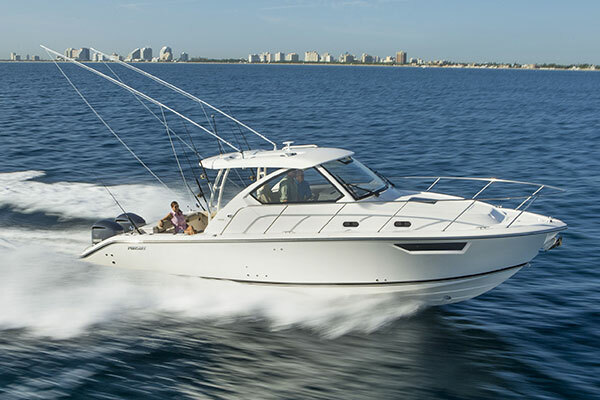 Big enough to take the whole family offshore for a day of adventure yet compact enough to easily tow, Pursuit’s new DC 235 checks a lot of boxes for Great Lakes boaters.